Responsive in all popular Email Clients. Gmail App in Android Mobile: Responsive. Salesforce MC (SFMC – Ex exacttarget) Template and modules ready to import. 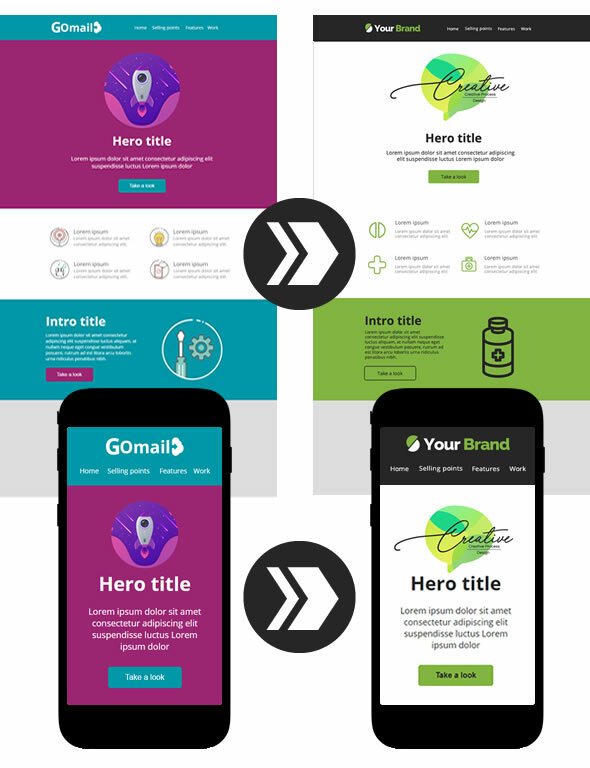 Mailchimp – Full Template ready to import. Easy to change Logo, images, text and colors. Branding adaptable. Email Builder Ready – where you can Edit it and export it to any ESP. With all ESPs using html version. Demo images are not included in the pack, Images are demo purpose only. If you have any question about the Template, please do not hesitate to ask me.